Why does public engagement matter? What does an engaged university look like? The University of Chester is committed to supporting excellence in teaching, research and knowledge transfer and, through dissemination and public engagement activities, to ensuring that the institution is valued within the academic and non-academic communities and regarded as a partner university of choice for the region. a variety of widening participation and outreach activities to engage with the next generation of scholars, scientists and professionals, including: a leading academies development programme; events to raise aspirations among school, college and mature students; work with schools to develop and support extra-curricular activities in science and technology; and a science fair for primary school pupils. The Riverside Innovation Centre (RIC), funded jointly by the University of Chester and the European Regional Development Fund (ERDF), is a new initiative designed to generate sustainable, added-value economic impact for our local and regional economies. The wide range of services offered by RIC includes start-up support, mentoring and incubation space, virtual office facilities, conferencing and hospitality, access to University expertise and specialist knowledge, bespoke training and qualifications, business networking events, and a diverse programme of free talks, workshops and conferences. All of our students and staff are encouraged to engage with the local community by volunteering, either with one of the 300+ opportunities that we offer, or on one of our ‘Give it a go’ short term projects. Our dedicated Volunteering team promotes and supports in house and external initiatives that enable volunteers to pursue activities which both provide a benefit to the community and enhance the experience for students or staff. Highlights in the University’s calendar of cultural events include a public lecture programme and annual literature, science, and diversity festivals. Across our campuses in Chester and Warrington we offer a range of facilities and resources for conferences, opportunities for leading local sports professionals to use the University’s state-of-the-art training facilities, venues for community group meetings, and contemporary and versatile exhibition space. 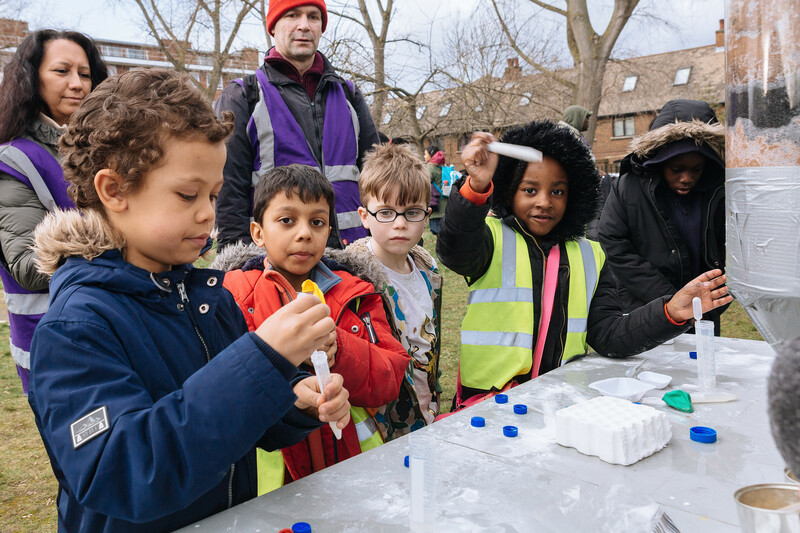 Each year, University grant schemes support a wide range of new public engagement initiatives, from the pump-priming of research, consultancy or product development services, to community projects involving student and staff volunteers, to events designed to enhance public understanding of our research. Pippa Coutts, Policy and Development Manager at Carnegie UK Trust, offers a view on the Knowledge Exchange Framework from the perspective of a research user. Supporting community organisations and scientists to collaborate on exciting engagement projects. Join Ellie Cripps (University of Bristol) and Kirsty Ross (University of Strathclyde) to explore the pitfalls and possibilities of developing school-university partnerships. The NCCPE is inviting every university and research institute in the UK to sign up to our Manifesto for Public Engagement. Please see our privacy notice for information on how your personal data will be processed.